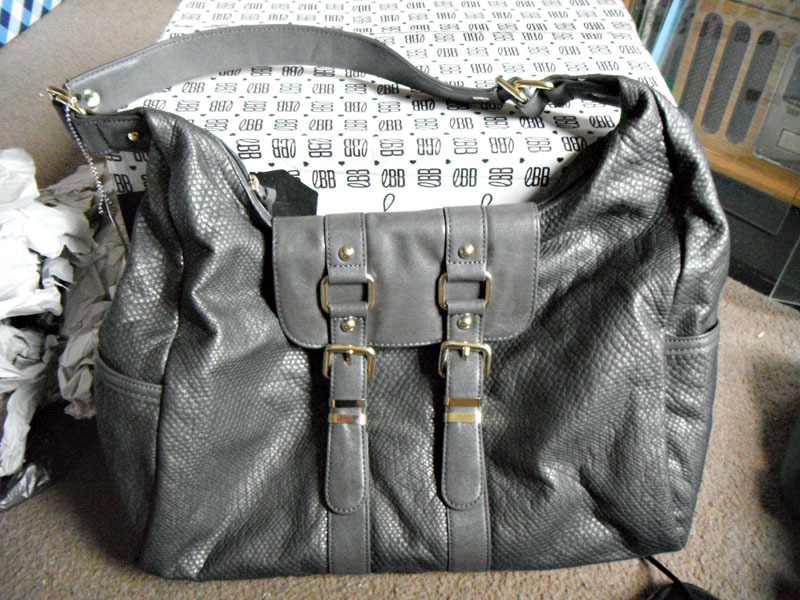 I've been having a pretty crappy couple of weeks, so I was really excited to wake up to my latest Little Black Bag. 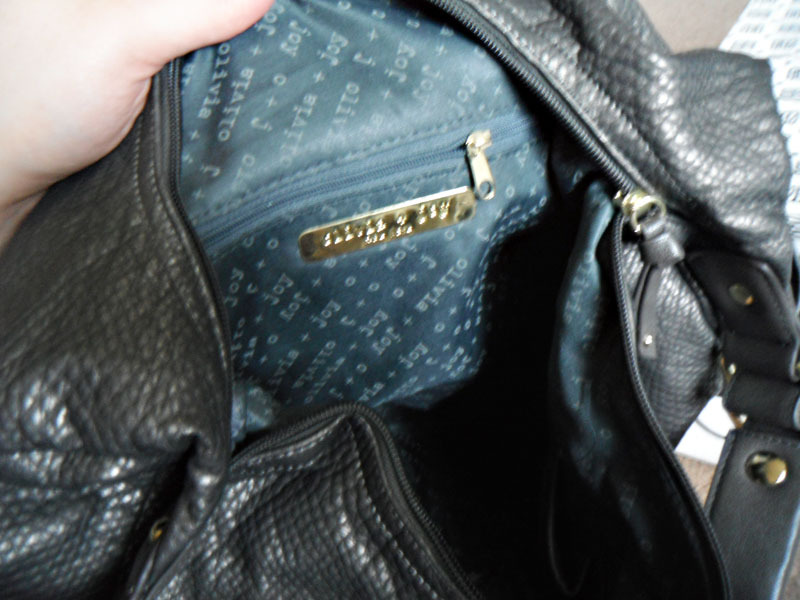 If you can't tell, I'm on a handbag kick lately. 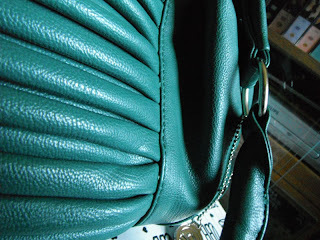 For a while I was all about the jewelry and accessories, but my last few bags have been all handbags! 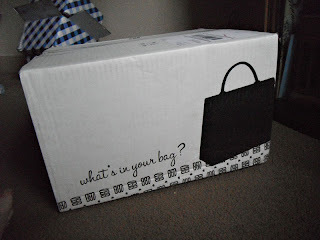 As always, if you haven't signed up for Little Black Bag yet, my referral link is here. It's a lot of fun, and a great way to shop for accessories. My favorite thing to get in the mail! I never got a shipping email for this bag, so I was really excited when it showed up. The first item I got is the ruched hobo (Carlow) by Big Buddha. 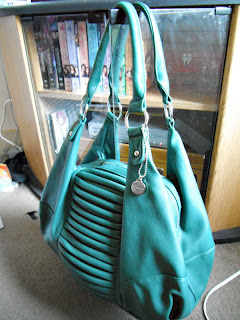 Frankly, I have found this bag to be impossible to photograph, but it's beautiful! I was expecting it to be a lighter color based on the pictures on the site, but I do like the color that it is. The color in the third closeup is the most accurate! It is nice and big and the material is super soft. The lining is so pretty and very soft. Love it! This is my first Big Buddha bag, and I am impressed with the quality. 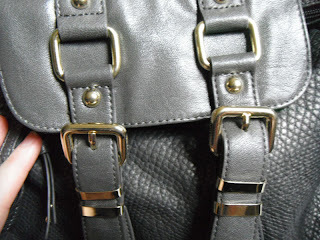 This is the buckle satchel by Olivia & Joy, and I was super surprised by how awesome it is! The material is amazing and soft. 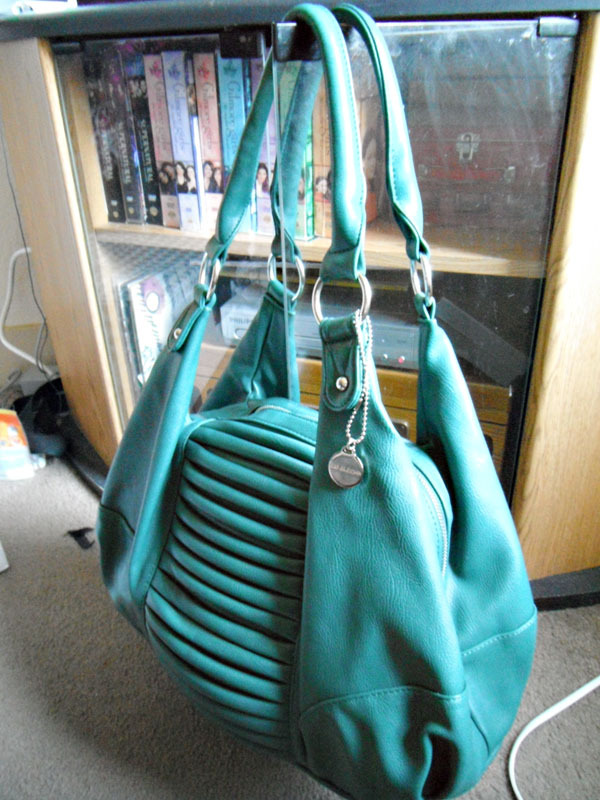 It's huge and has pockets on the outside as well as inside. I got the gunmetal color, and I am glad I did...so pretty. The material is shiny, but not tacky shiny. 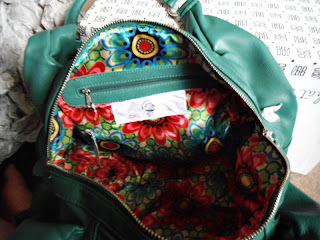 The inside has several pockets as well. I am super impressed with this bag, and I am now very interested in more Olivia & Joy products...this might be my favorite handbag I've ever gotten! 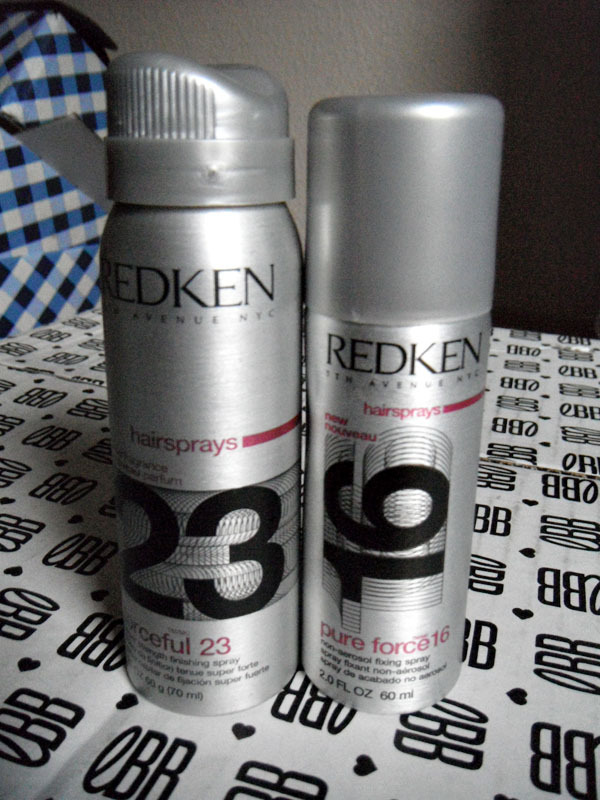 This month, they did another Redken promotion and added a deluxe sample of a Redken product to every bag. Though trading, I snagged another one. Both are hairsprays. I rarely use hairspray, but it certainly doesn't hurt to have some on hand, especially since I don't buy it. 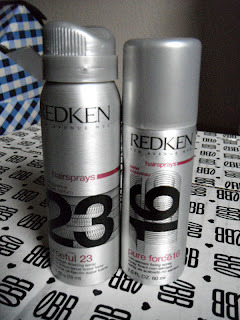 I love Redken, as well. Love these promotions! 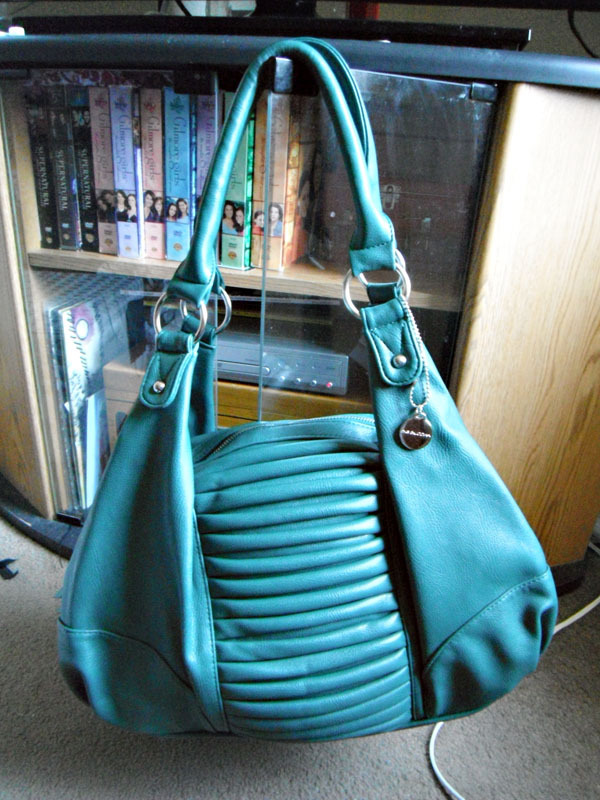 In all, I'm happy with this LBB Love both of the handbags, and they're both very different from anything I own! Have you tried LBB yet? Thanks! i have now worn each bag for a few days and they are fantaaaaastic! I know they have told people they hope to ship internationally in the future. I hope they do soon, because it's a looot of fun!